I’m not doing NANWRIMO this year, but I won it last year and finished out Jackson Speed at the High Tide. A couple of people have asked me if I was going to do NANOWRIMO this year. For those unfamiliar with it, NANOWRIMO stands for National Novel Writing Month and the idea is that you write 50,000 words in the 30 days of November. NANOWRIMO is an online (and in person) community of writers who encourage writers. It’s a cool deal, and I did it last year (writing the last 50,000 words of Jackson Speed at the High Tide last November). I really enjoyed NANOWRIMO, and it probably forced me to finish the fourth Jackson Speed novel about two months earlier than I would have. NANOWRIMO works really well for me for a couple of reasons. First, I’m accustomed to working on deadlines having spent 20 years or so in the newspaper business. Second, Jackson Speed’s life has already played itself out pretty thoroughly in my head. There may be details yet to be written, but I have a fairly thorough understanding of where he’s going and what he’s going to do. So the only thing that stands between me and the conclusion of the next novel is research and time. I don’t have to dream up a lot of ideas. I just have to do the research and make the time to write. But when it comes to NANOWRIMO this just isn’t the year for me. In May I closed the newspaper I owned. In August I sold that newspaper to the Athens Banner-Herald and they hired me on a part-time, freelance basis to do some work for the paper. Also in August, I started a new business with one of my former college roommates, Ken Sawyer. The work to start a new business is significant, and right now it means that I’m spending a lot more time writing for work than I was a year ago when my duties ran more along the lines of editing and managing the newspaper. For MoonCalf Press – the business Ken and I started – I’m also doing a fair amount of writing. None of that is to say that I’m not also writing Jackson Speed. A few weeks ago I started the fifth book and I’m a significant way into it. It’s possible (though not likely) that I will this month write 50,000 words of the next Jackson Speed book anyway, but I don’t want to commit to NANOWRIMO if I’m already thinking that it’s unlikely that I’m going to be able to finish it out. For whatever reason, I tend to publish most of my books in the spring, and I suspect the next Jackson Speed book will again publish in the spring, maybe mid-May. So, for those writers who are participating in NANOWRIMO, I wish you luck! You have all my sympathy as I reflect back on last November when I stayed up until the wee morning hours trying to knock out another 5,000 or 10,000 words. It really is an experience, and if you win NANOWRIMO (or even if you just give it a good try), I think you’ll be glad for the effort you put into it. I know in my case it will last with me for years as one of my favorite writing events, and I hope next November I’ll be better positioned to give it another go. The trauma of NaNoWriMo has left me speechless. I’ve not written a blog post in two months. For you fans of Jackson Speed, here’s where things stand: The fourth book is written but I am still editing/rewriting. Taking Jackson Speed at the High Tide as a continuation of Jackson Speed on the Orange Turnpike and considering them one complete work as they were initially intended, I’ve got to say Volumes III and IV of the Jackson Speed memoirs are my personal favorites so far. I’m really proud of these two books, and I cannot wait for Jackson Speed fans to see Volume IV! Speaking of Jackson Speed fans, I’ve occasionally written about my sales here, and I’ll say a word about sales today, too. December was awful. I’d been riding a pretty good wave of sales from May through November, but December my sales fell off the wagon. Thankfully, January picked up steam and February (so far) has been very good. 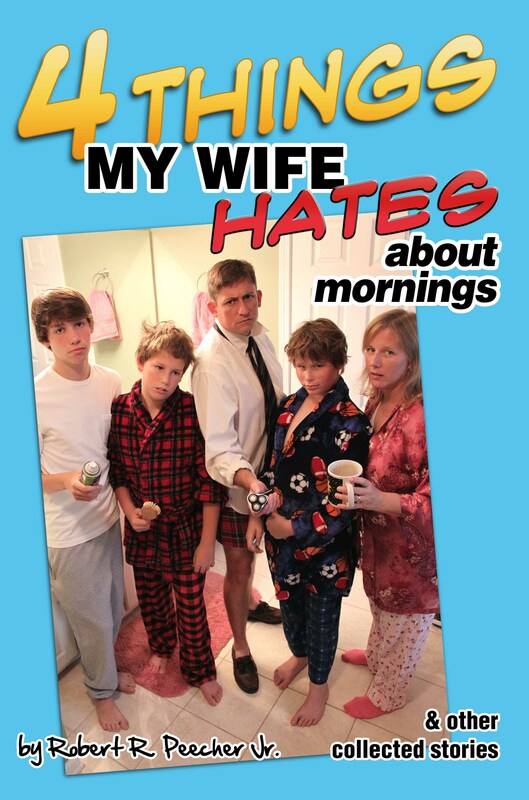 Interestingly, I’m selling books in the United States again. Back in June my sales in the United Kingdom began to increase dramatically, and through the second half of 2014 almost all of my sales came out of Britain. But my U.S. sales outpaced foreign sales in January. I think that’s a good thing, because my novels offer a chance for more people to learn about U.S. history as seen by Jackson Speed – and what better way to learn than with Ol’ Speedy as your teacher? When I say that I am grateful beyond words to you people who buy my books, I hope you understand that I am being completely genuine. It’s not the $1.34 I get from the sales in England or the $2.05 I get from the sales in the United States … it’s the fact that people are enjoying my work enough to come back and read the next book. That’s really so amazing to me. When I started writing the Jackson Speed novels, I was writing stories that would entertain me. I created this character who I found amusing and put him in historical situations that I found interesting. I didn’t know if I would ever sell a single book or if anyone who read the stories would even enjoy them. Basically, Jackson Speed was just a pleasant diversion for me. 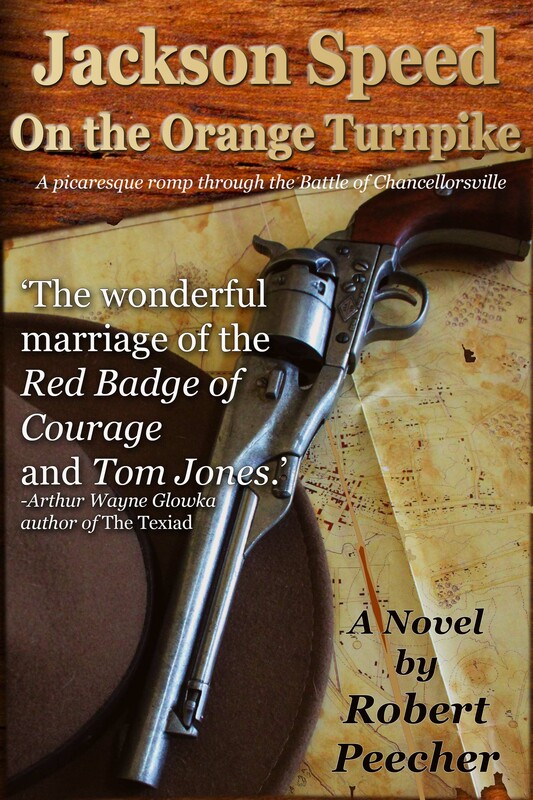 But when I go to look at my sales chart and see that I’ve sold a copy of Blood Tubs or Orange Turnpike – that people enjoyed El Teneria enough to want more – it truly is the most gratifying experience. While I work on edits of High Tide, I’ve also got some other projects that I’m working on – many of which are in some latter stages of completion – and I hope to soon be able to share some details about some of those projects. My target date for publishing Jackson Speed at the High Tide is late March (though it could be mid-May), and when the time gets a little closer I’ll release the cover image that Alex McArdell created for High Tide. It’s spectacular! Now that I’ve had some time to rest, I’ll to post some thoughts on my first NaNoWriMo experience. When I first heard of it, maybe a couple of years ago, I was very dubious about the value of NaNoWriMo. But a lot of indie writers have participated in NaNoWriMo, and I wanted to at least give it a shot. One of the things I was most looking forward to was attending some of the local events. There aren’t but a couple of them (maybe only one), but I do not have the opportunity to sit down with other writers and talk the way I did in college, and I miss that. I thought it would be worthwhile and fun. But as I’ve noted, time was not my friend in November, and I couldn’t make any of the events. So one of my primary motivations for participating never happened. Nevertheless, I walked away from NaNoWriMo with a new respect for it. In my experience at least, I found it hugely beneficial. If you don’t know what NaNoWriMo is, it’s a writing challenge where, to win, you have to write 50,000 words in the 30 days of November. NaNoWriMo is short for National Novel Writing Month. If you’re writing diligently every day (which I was not), you have to do about 1700 words a day to win NaNoWriMo. For me, that’s not a particularly high bar to hit. Obviously, plotting a story, character development, research – all of that takes time – but if you’ve done your planning ahead of time,1700 words can easily be written in a couple of hours. I suppose the difficulty of NaNoWriMo depends a lot on your story and your writing style and how well planned your novel is before you get started. I knew long before November rolled around how my story would unfold, but for every hour that I spent writing I probably spent another 15 to 30 minutes researching. The thing I found most worthwhile was having a goal imposed by a deadline. I’ve spent a career writing to meet deadlines, but I’ve never put a deadline on any fiction writing. Setting a goal and working hard to meet that goal forced me to put into writing what was already in my head. For me, the last week of NaNoWriMo was a huge and difficult 30,000 word push. Fortunately, my wife cleared the decks for me and allowed me time to write. If it had not been for NaNoWriMo, I suspect she would have still expected me to do my part around the house – emptying the dishwasher, taking out the trash … whatever else I’m supposed to be doing. The only thing she asked me to do all week was build a fire in the fireplace, and I think that took three minutes of writing time. I’m glad I decided to participate in NaNoWriMo. I’ll probably try it again next year, though hopefully I’ll write a little every day instead of trying to squeeze my writing into massive 10,000-word chunks. If you feel like you’ve got a novel in you but you’re lacking the motivation to write it, you might find that NaNoWriMo could be helpful to you. Throughout the forums there are a lot of people who were first time novelists, and in the little that I was able to go to the website and spend a little time, there were several of those first time novelists who successfully got their 50,000 words. Writers, generally, seem to be a very supportive bunch of people. I’ve run into several indie writers online – either in blogs or on Twitter or wherever – and most everyone seems to be genuinely interested in seeing others find success. In the NaNoWriMo forums, it’s no different. Folks tend to serve as cheerleaders for the other people trying to get their novels written. For my part, I was ready to give up on November 24. 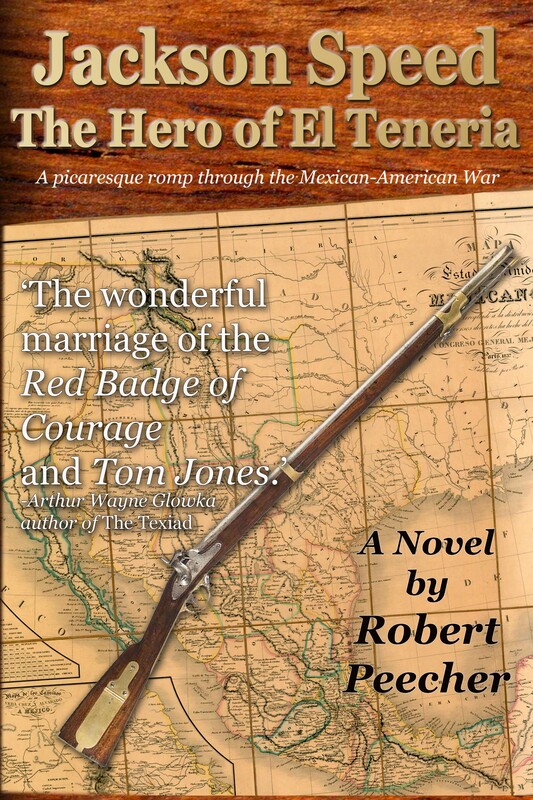 I’d only written 16,000 words and reaching 50,000 in just a few days seemed insurmountable. But I read an email from my ML (municipal liaison), Lucy (aka boomchick). I don’t know Lucy, and she doesn’t know me, but as an ML, she sent a mass email to all the Athens, Georgia, NaNoWriMo’ers on November 15 (yes, it took me nine days to read the email). That was my motivation to keep going when I’d already decided to give up – a mass email from someone I don’t know who did not know whether or not I could power through the novel. But Lucy (aka boomchick) was right, and I did power through the novel, and if I’d not participated in NaNoWriMo, I would right this minute be thinking about how I should probably get back to writing if I’m going to finish Jackson Speed at the High Tide by the end of the year. 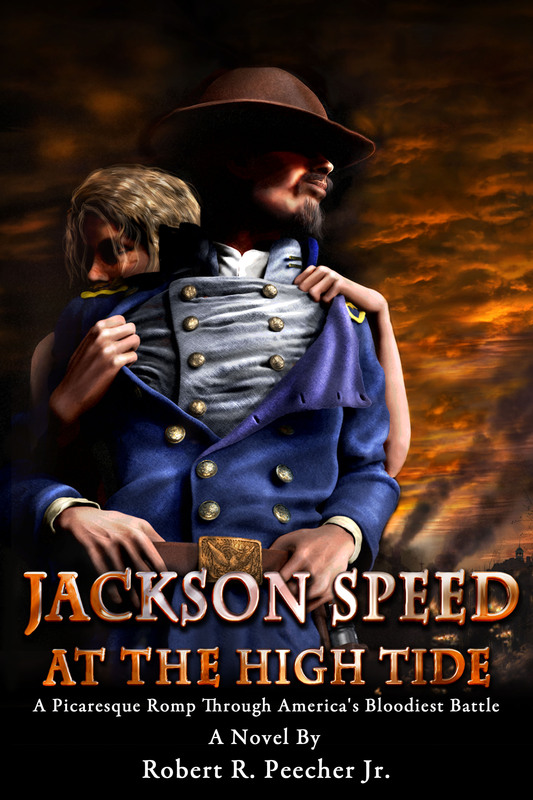 As it is, I’m now thinking about how I need to be editing and rewriting Jackson Speed at the High Tide if I’m going to publish it by spring of 2015. If that looks like a NaNoWriMo winner banner at the top of this post, that’s because that’s what it is. At 3:48 a.m. I topped 50,000 words for November! Conveniently, I also finished out Jackson Speed at the High Tide. I still have edits and rewrites in front of me, and who knows how long that takes because I do not believe there is a NaNoEdiMo in December (National Novel Editing Month) or a NaNoReWriMo in January. But with the novel finished I think it won’t be long now before I can get that baby polished up and ready to present to the world. I’ll come back later when my fingers aren’t so sore from all the writing I did this last week and talk a little more about NaNoWriMo. Honestly, I was very skeptical about the value of it before I did it, but now I’m a true believer. Anyway, as always, I owe Jean a huge THANK YOU for constantly supporting me in whatever foolish endeavors I get into. Over the past week, when I was in a 30,000 word hole and trying to write my way out, my beautiful wife created an environment where I could do it. She only once interrupted me while I was writing (and that was to spend three minutes building a fire in the fireplace last night) and at least twice – probably more that I did not notice – she took on my chores around the house so that I could stay planted in my chair at my keyboard. She didn’t complain when I didn’t come to bed at night this past week, and she didn’t gripe when I couldn’t wake up in the mornings because I’d been up so late writing. Jackson Speed at the High Tide comes in at a staggering 101,900 words (by way of comparison, the other Speed books are all around 65,000 to 70,000). I imagine it will be shorter or longer when I’m done editing, but I don’t know that I ever expected to write a 100,000-word novel. I think it’s good stuff, too. 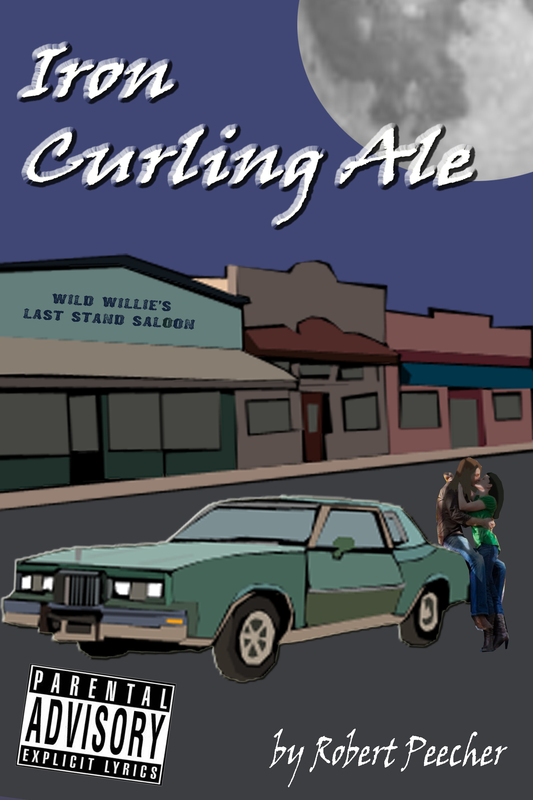 If you’re a fan of the other Jackson Speed novels, I do not think this one will disappoint. It picks up immediately where Jackson Speed on the Orange Turnpike left off. If you were following my progress and rooting for me, thank you so much. Over the course of the last week I got some kind words of encouragement from some friends, and I appreciate that. If you were following my progress and deep down wanted to see me fail, then the only thing I can say to you is, eat that! Now I’m going to go watch some Walking Dead and then go to bed early. Just a quick update for those keeping score at home … I’ve been writing all day (and most of last night) and I just this moment passed 40,000 words! With less than 10,000 words to go to win NaNoWriMo, I have a fair amount of confidence. Our hero Jackson Speed is currently in the woods on Seminary Ridge with George Pickett. Pickett is writing a love letter to LaSalle Corbell, and Ol’ Speedy’s bowels are exploding to drown out the cannons. I started writing in earnest last night around 11 p.m. When I went to bed at 4 a.m., I’d managed to knock out 4,000 words. I’ve gotten an accurate word count of everything I’ve written so far in November on High Tide, and I’m 19,496 words into the 50,000 (that includes the 4,000 I wrote last night). If I can hit a pace of 5,084 words a day, I can finish out NaNoWriMo! I’m really excited about what I wrote last night. I think it’s pretty good stuff. It was a scene that came to me more than two years ago when I first started writing about Jackson Speed, and it is the moment in the Battle of Gettysburg when Speed earns himself a Congressional Medal of Honor. I have this print of a painting by Dale Gallon hanging in my office at home, and it helped to serve as inspiration for me as I wrote the scene. I love Dale Gallon’s work, and if I’m ever a rich man I’ll paper my house with his paintings. That’s it for now … I have to get to writing!